With the growing concern of genetically modified foods (GMOs) that are known to cause diseases like diabetes, kidney failure, cancer, respiratory problems to name a few, I am very concerned about what the FDA is allowing to be put into our food. So, I set out to find out more about growing my own vegetables. In my research I found this really neat thing. 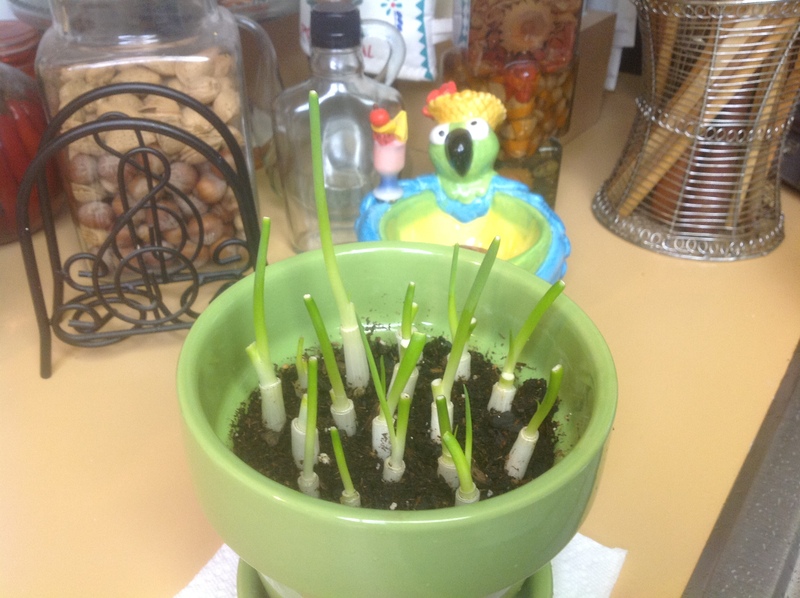 You can take scallions ( green onions) and chop the green off and let the roots re-hydrate by soaking in water overnight and planting OR just amazingly leave them grow in water that you change everyday. Just enough water to cover the roots. Whats even more amazing is the rate at which they grow! The photo I have displayed is only four days growth. If you look closely you can see where I had cut the stalks off four days before. AMAZING! I hope that you will give this a try the next time you purchase some. Rather than discard the roots and white bottom part, just set in a cup with just enough water to cover the roots. Even if you don’t put in dirt, they will grow at this fast rate. Not only will you be fascinated with the growth rate but you’ll save a bit of money too. Just cut off stalk again and it’ll keep regrowing. Somewhere I read this only occurs for four times but I’ve had them regrowing after that. Have a blessed day! 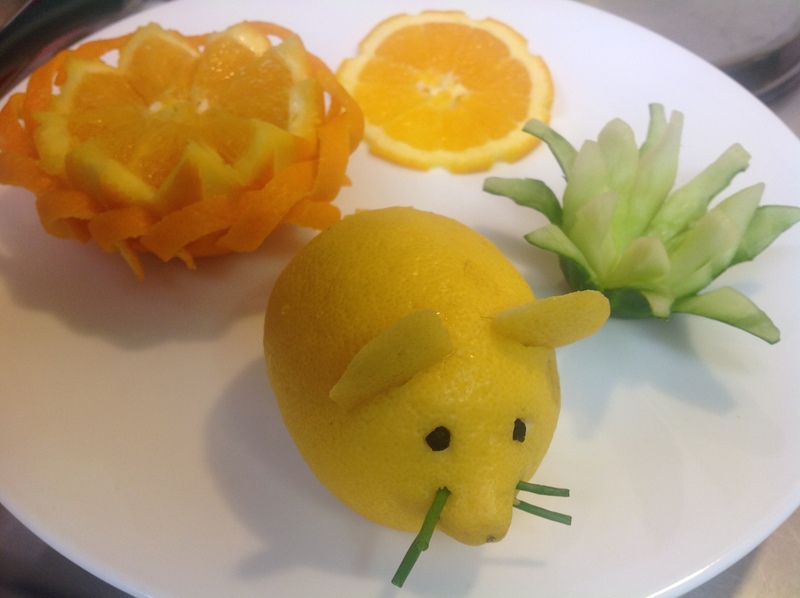 To view photo please see my lemon mouse. 2. With potato peeler, from stem to bottom, peel off rind of orange evenly spaced all the way around orange. You should have an orange with the pith showing in a striped design. 3. Slice orange in 1/4 to 1/2 inch slices. 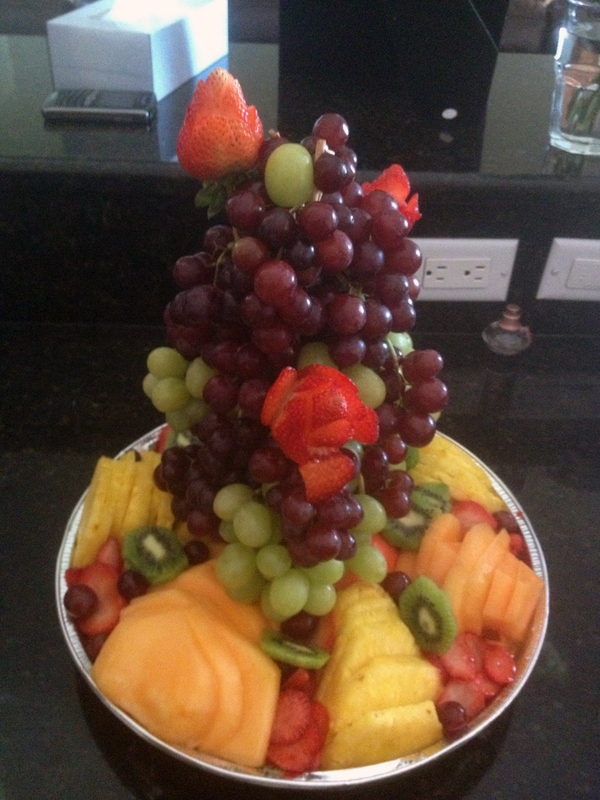 Arrange on plate.